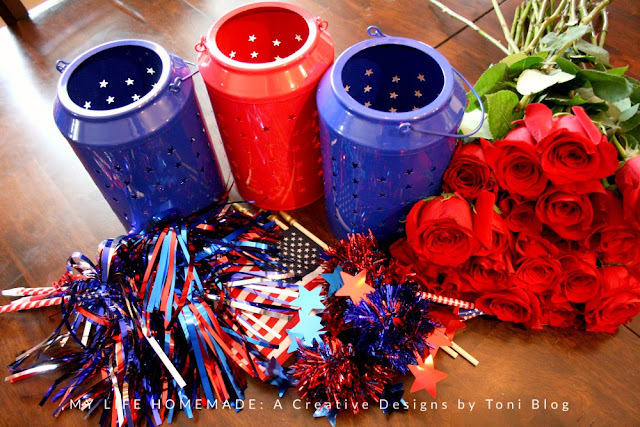 Fourth of July is just around the corner and we are ready for all the fun and excitement. Especially the fireworks! 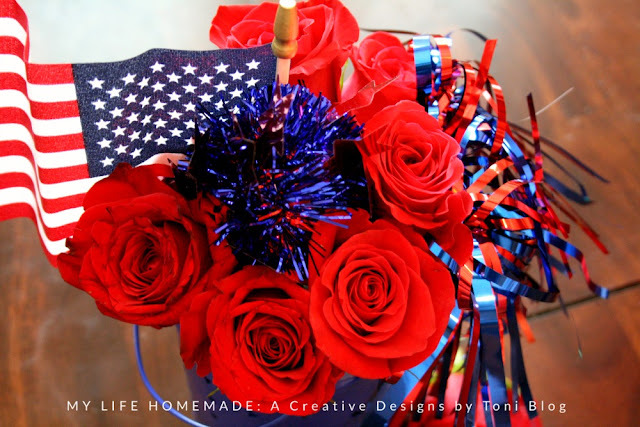 While we wait for the big day to come, we are getting the house patriotic ready by creating these simple fourth of July centerpieces. 1. Simply cut your flowers to fit in your containers. 2. 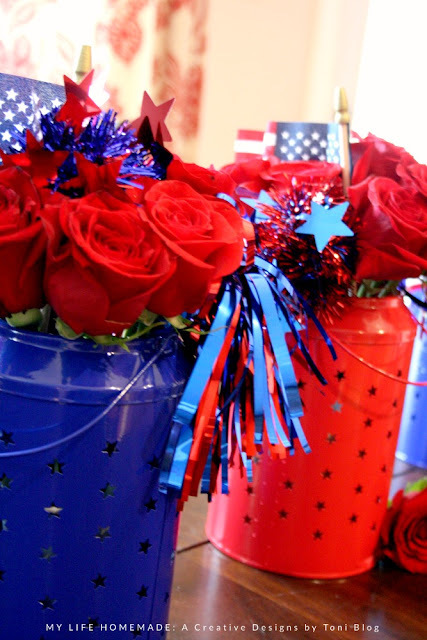 Add your fourth of July decor. 3. 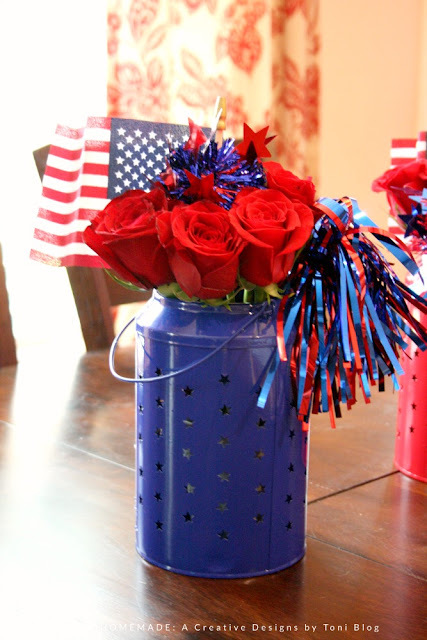 Display proudly for your fourth of July centerpieces. 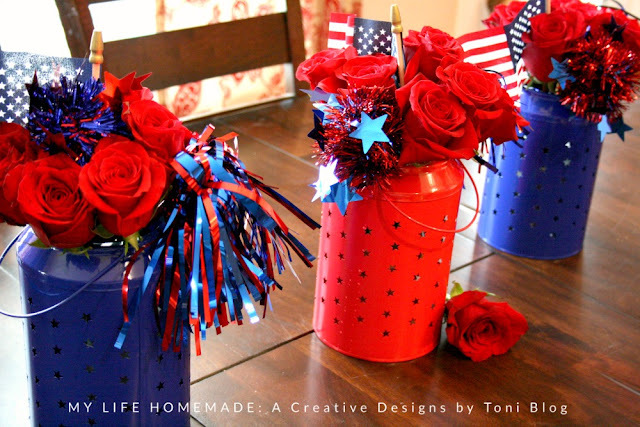 They are so simple to make with help from the dollar section at our local Target and beautiful flowers from the grocery store. All my pieces for the centerpieces came from Target including the lanterns. Surprisingly, the puff balls and streamers are just pens. The flowers came from the grocery store and were a really good price. 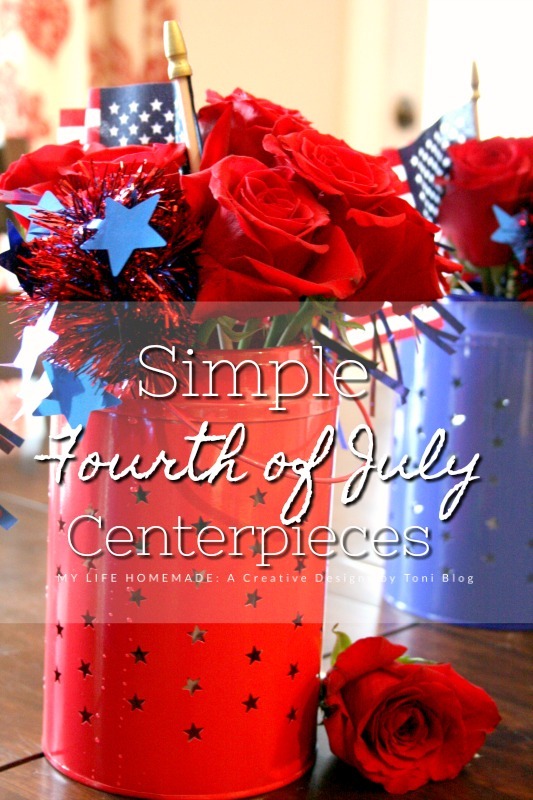 Simple and budget friendly decorations that make a big impact! 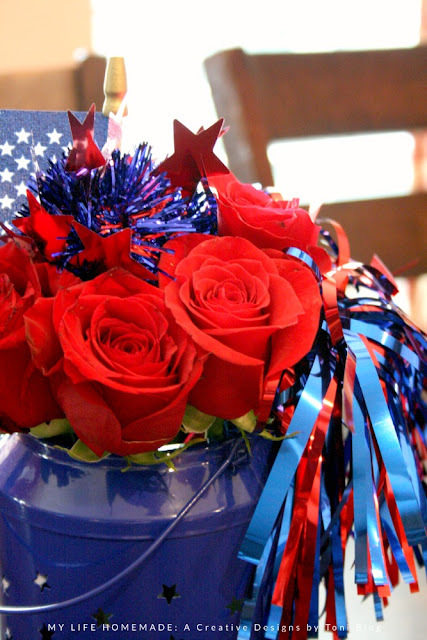 Happy Fourth of July to everyone!!! !